For the Planet of The Apes movie fans who would like to convert Dawn of the Planet of The Apes Blu-Ray Disc to videos for playing on portable devices, this post is exactly the right place to come to. 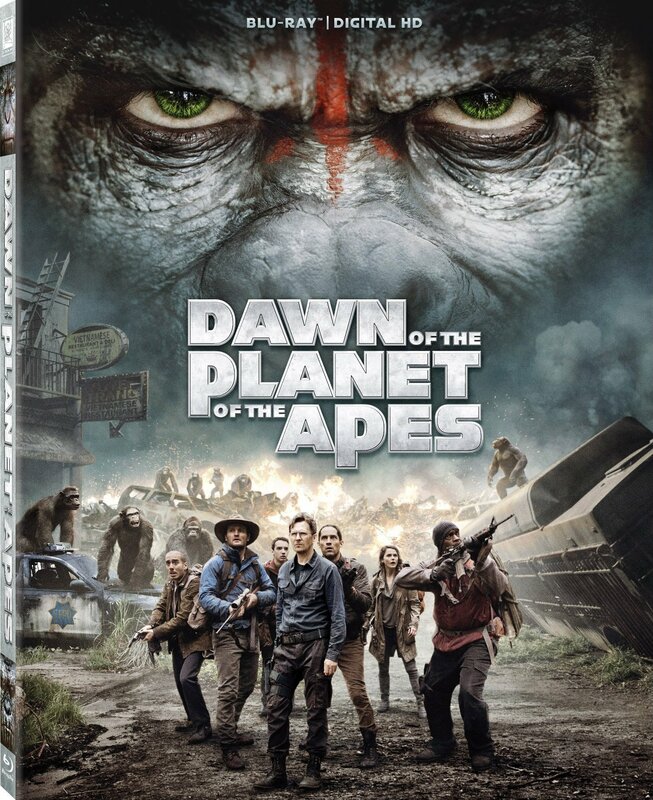 Read the post carefully to find out how to convert Dawn of the Planet of The Apes Blu-ray Disc. Directed by Matt Reeves and written by Mark Bomback, Rick Jaffa and Amanda Silver, Dawn of the Planet of The Apes is the second film of the Planet of The Apes series, sequel to the 2011 film Rise of the Planet of the Apes. Released in the United States and Canada on July 11, 2014, Dawn of the Planet of The Apes is an American science fiction film starring Andy Serkis, Jason Clarke, Gary Oldman, Keri Russell, Toby Kebbell, Kodi Smit-McPhee, Kirk Acevedo, and Judy Greer. Dawn of the Planet of The Apes is set ten years after the events of Rise of the Planet of the Apes, and follows a group of people in San Francisco who struggle to stay alive in the aftermath of a plague that is wiping out humanity, while Caesar tries to maintain dominance over his community of intelligent apes. A third installment of the Planet of the Apes series, entitled War for the Planet of the Apes, is set to be released on July 14, 2017. To rip and convert Dawn of the Planet of the Apes Blu-ray to videos for playback on various media players or your own iPad tablets, a thrid-party Blu-ray ripping program is necessary. The detailed guide below shows you how to convert Blu-ray Dawn of the Planet of the Apes to videos in MP4, MOV, MKV, MTS, H.264 and other formats for playback in various media players by using Leawo Blu-ray Ripper. Being a professional Blu-ray to video converter, Leawo Blu-ray Ripper is designed to rip and convert Blu-ray discs/folders to common/HD videos with high quality retained. It could help you rip Blu-ray Dawn of the Planet of the Apes and other Blu-ray discs to various video formats, including MTS, MP4, AVI, FLV, MKV, MOV, MPEG, etc. Thus you could freely watch Dawn of the Planet of the Apes Blu-ray on your iPad, Galaxy S7, iPhone SE/6s, etc. Hurry to know the details? Check the below content. Step 1: Download, install and run this Blu-ray Ripper (Mac users download and install the Mac version). Insert Dawn of the Planet of the Apes Blu-ray disc into computer’s Blu-ray drive. Then on the main interface, click "Add Blu-ray/DVD" button to import Dawn of the Planet of the Apes Blu-ray movie. If you want movie-only converting, select "Main Movie" mode to load source Blu-ray disc. If you want to convert the whole Blu-ray disc, select "Full Movie" option. The "Custom Mode" option allows you to freely select which titles to convert manually. 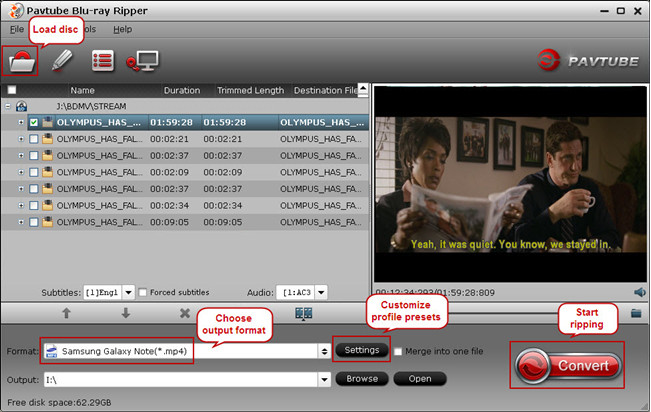 Click the drop-down box (default displayed with "MP4 Video") next to the "Add Blu-ray/DVD" button, then select "Change" tab to set output profile. Go to "Format" group or "Device" group to select desired profile upon your needs. By clicking "Edit" option after you check the drop-down box, you could change video codec, audio codec, bit rate, aspect ratio, resolution, frame rate, channel, and other parameters based on your media player or device specs. On the main interface, click the big green "Convert" button. The popup window would ask you to set a folder as target directory in the "Save to" option and start to rip Dawn of the Planet of the Apes Blu-ray disc to video after the "Convert" button at the bottom being clicked. After conversion, you are free to transfer the converted Dawn of the Planet of the Apes Blu-ray movies to any player or device for playback. Another professional Blu-ray ripping program is Pavtube Blu-ray Ripper. Check the step-by-step guide below to learn how to convert Dawn of the Planet of The Apes Blu-ray Disc with Pavtube Blu-ray Ripper. Download, install and launch Pavtube Blu-ray Ripper. On the main interface of Pavtube Blu-ray Ripper, click “Load disc” button, browse to disc folder and import Dawn of the Planet of the Apes Blu-ray disc to the program. Convert Blu-ray/DVD disc to various video and audio formats like MP4, MOV, MKV, AVI, MP3, etc. According to the comparison chart, it is safe to conclude that Leawo Blu-ray Ripper and Pavtube Blu-ray Ripper have almost excatly the same features. However, if you want to rip commercial or encrypted Blu-ray discs, Pavtube Blu-ray Ripper is ruled out, and you should make good use of Leawo Blu-ray Ripper in that case.